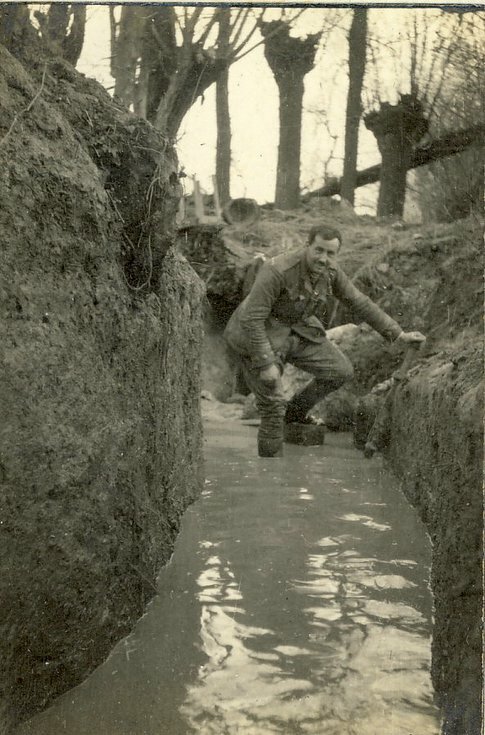 Monochrome photograph, © South Lanarkshire Council Museums Service, from an album compiled by Lieutenant Robert Cotton Money (see 2008.143), with the inscription: 'Self (Lieut Robert Cotton Money, Headquarters 1st Battalion) with pump. Trying to dry the communication trench between H.Q. & ‘C’ Coy. A futile effort. 05/01/15'.